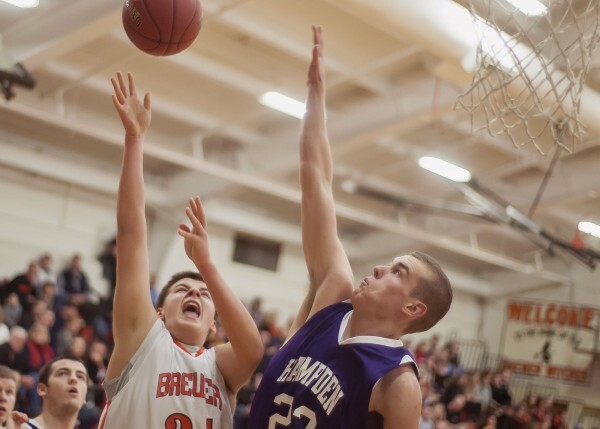 Brewer senior Ian Burgess (24) tries to get a shot over the defense of Hampden Academy player Zachary Gilpin (23) in the first half of their game in Brewer, Maine, Friday, Dec. 28, 2012. 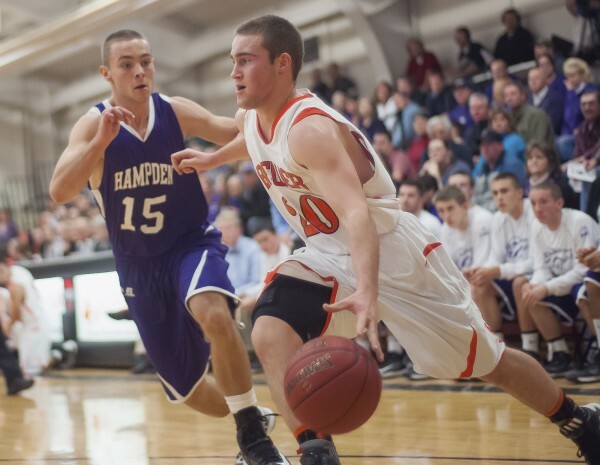 Hampden downed the Witches 66-46. 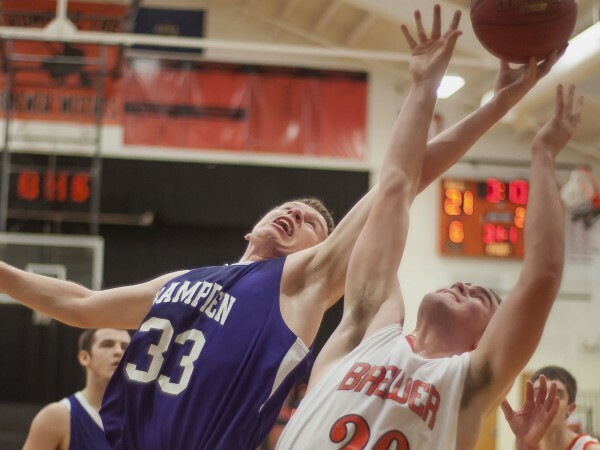 Brewer High School player Brendan Newcomb (20) tries to drive the baseline past Hampden Academy player Cameron Scott (15) in the first half of their game in Brewer, Maine, Friday, Dec. 28, 2012. Hampden downed the Witches 66-46. Hampden Academy senior Matthew Palmer (33) and Brewer High School player Brendan Newcomb, Jr. (20) stretch for a loose ball in the first half of their game in Brewer on Friday, Dec. 28, 2012. Hampden downed the Witches 66-46.